A mere few days before San Diego Comic Con, Lucasfilm has released the full length trailer for its upcoming television series, Star Wars Rebels, kicking it off with a familiar face. 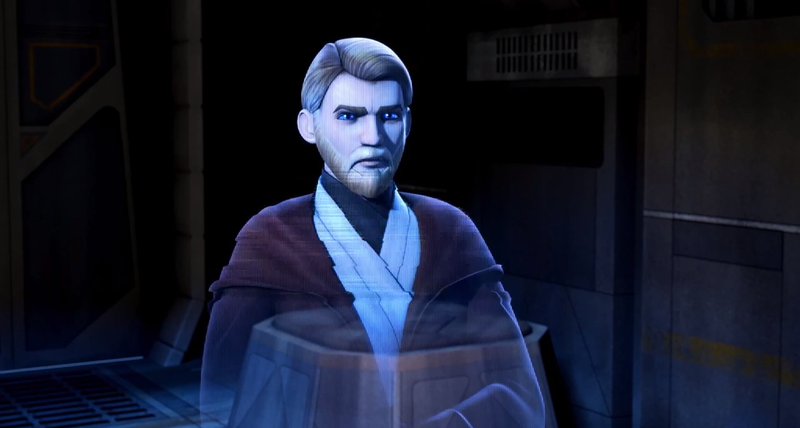 Kenobi is, of course, voiced by none other than James Arnold Taylor, returning to the role after a 6 year run on Star Wars: The Clone Wars and previous other projects, truly giving the blessing that although this isn't a direct sequel to The Clone Wars, it certainly feels like it. Taking place roughly five years before Star Wars: A New Hope, hearing Obi-Wan say "In time, a new hope will emerge", referring to Luke Skywalker, is certainly a nice touch and a great foreshadowing for what is to come. But what puts fans at ease is the team behind it, more than half of the team working on Star Wars: Rebels worked on Star Wars: The Clone Wars, which found its footing fairly early on. Acting as a precursor to the original film, this series hits all the marks on the head by filling in the shoes of the Millennium Falcon: the young parentless farm boy looking for something better, a wise Jedi, the pilot smuggler, the big hairy weapons expert, the quirky droid, and the teenage girl who speaks out against the empire. The Jedi have been wiped out and the Empire spreads tyranny through the galaxy. Hope runs thin. But on the small planet of Lothal, a big change is looming. A group of rebels meet a 14-year-old con artist named Ezra and soon its clear their destinies are linked. Aboard their ship, the Ghost, Ezra and the rebels embark on an adventure to ignite a rebellion and strike back agains the Empire. Premiering this trailer before San Diego Comic Con can only mean that Lucasfilm most likely has something very big up their sleeve for the convention, possibly related to Episode VII. Only time will tell. Star Wars: Rebels premieres this October on Disney Channel with an hour-long special, followed by a season on Disney XD.